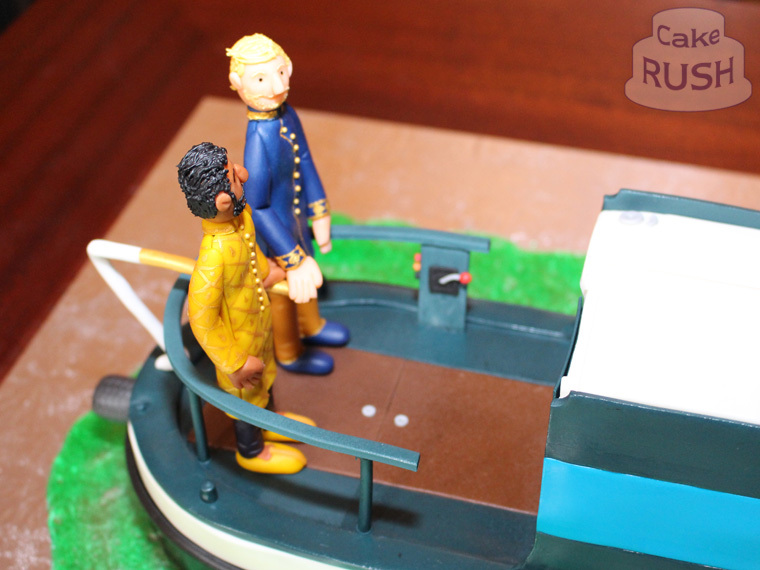 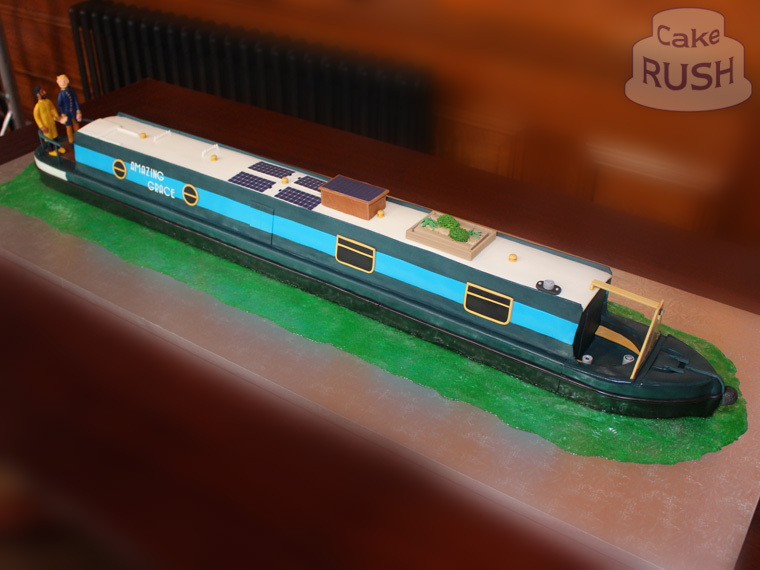 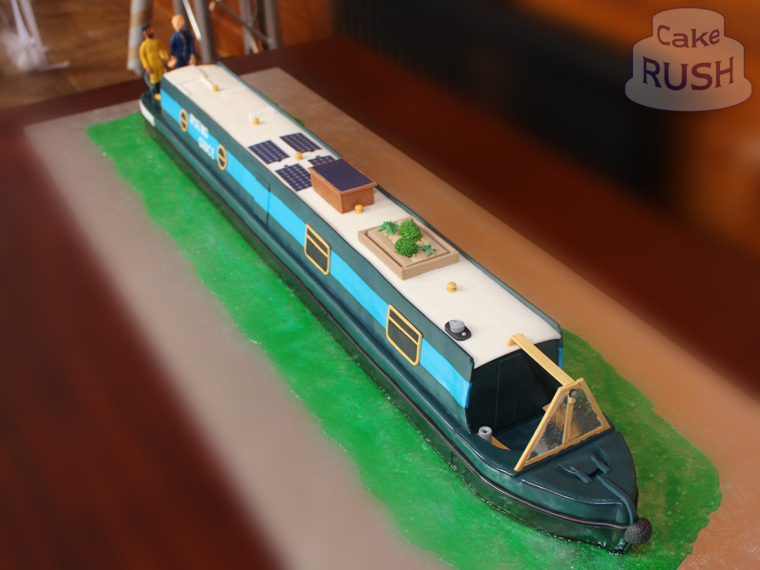 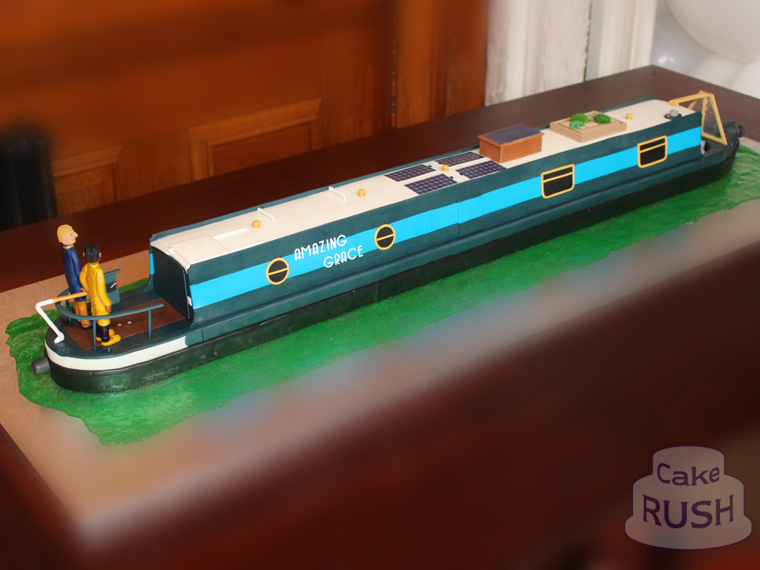 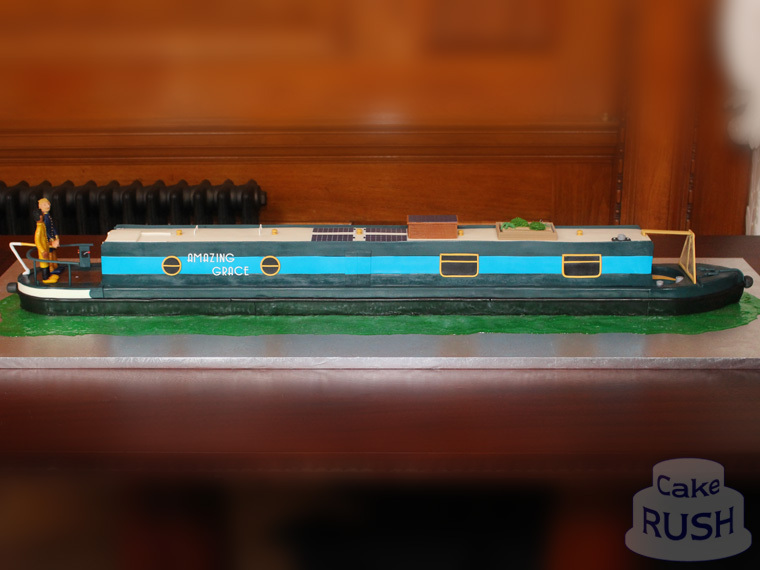 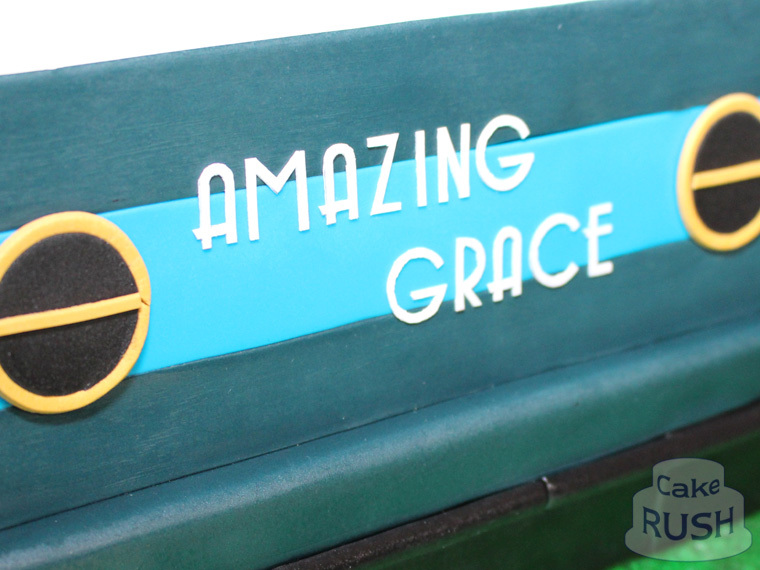 Wedding cake made for Ben and Vijay, depicting their narrowboat Amazing Grace at exact 1:15th scale. 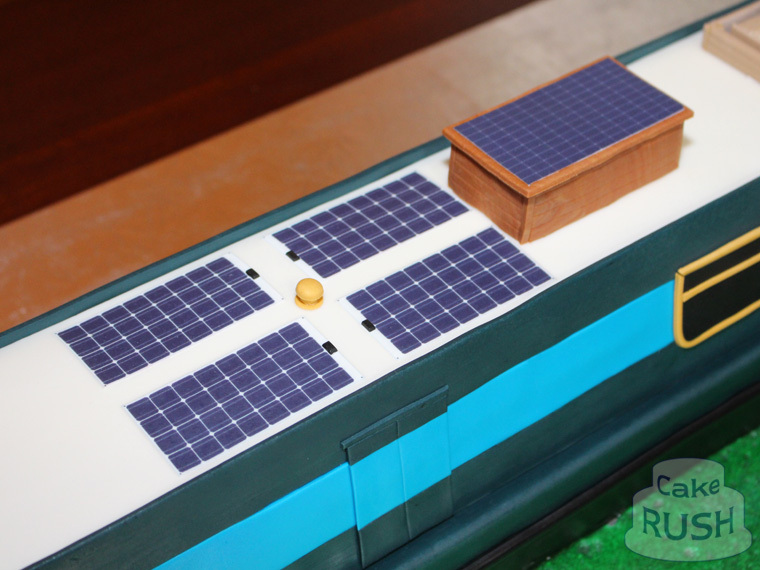 The chocolate and salted caramel cake was 4 feet long and featured solar panels, garden and sugar 'glass' windows. 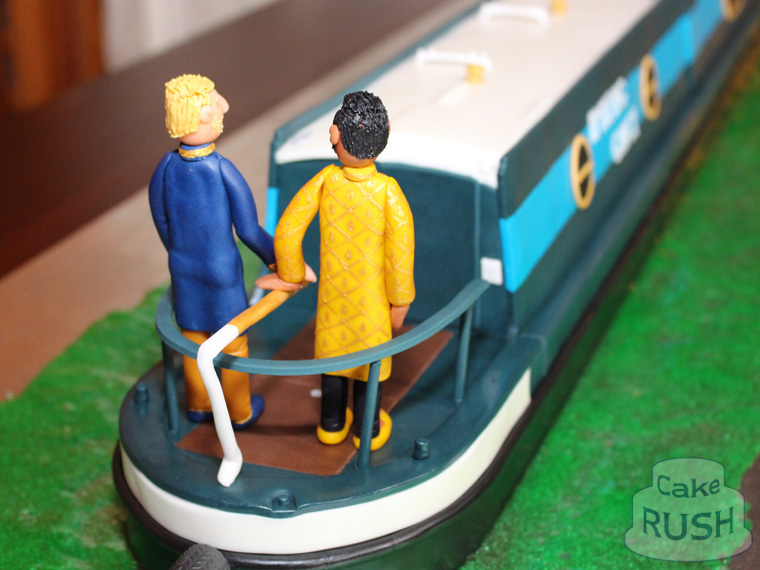 The happy couple stand at the tiller! 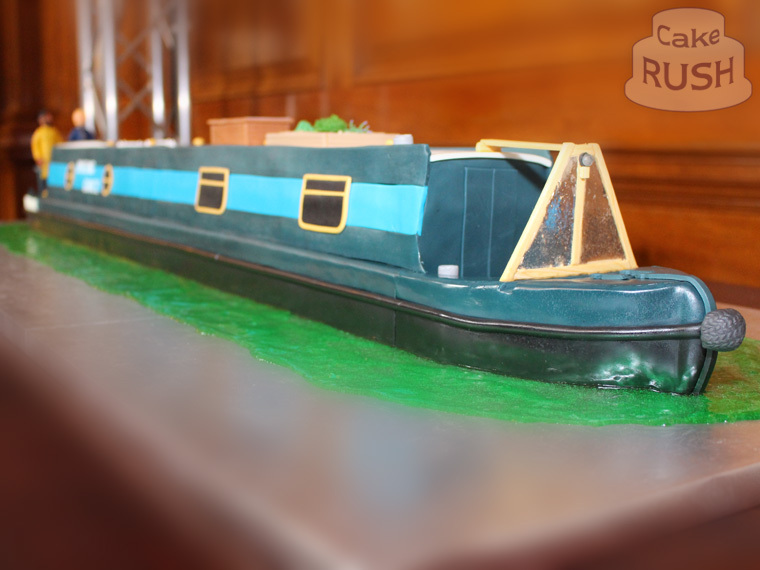 The wedding took place at The Ned London.